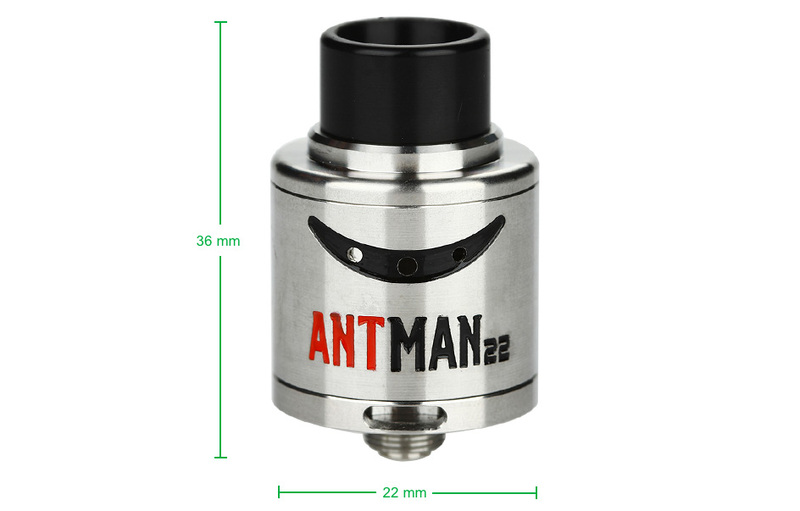 The Tesla Antman 22 RDA Atomizer features an easy no screw structure. It also has two large direct air slots to ensure smooth airflow! With the huge airflow on the bottom and top, it will bring you the best vaping experience ever at only 22mm in diameter its compact and powerful!